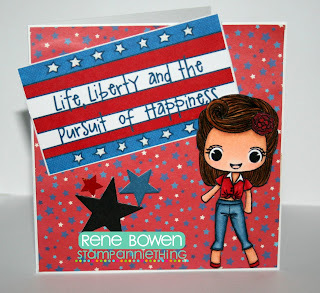 Stamp Annie Thing: Betty Loves Independence Day! I just love her. Your card is awesome!! I love her and patriotic colors! !